James Harrison was one of so many of Bollington’s young men who answered the call to arms and went off to the First World War. We presently know little about James but we put this page together because he sent home to his wife Eleanor a collection of pictures and cards showing where he was working in the services. James survived the war and lived to be 78 before he died at his home at 18 Church Street, Bollington, in 1976. He worked for 60 years at the Oak Bank mill cloth printing works belonging to Bollington Printing Company Ltd. He played cricket for the works team and won a special award from the works manager, John Woolam, for scoring 100 runs and taking six wickets in their match against Clarence mill – clearly a grudge match! He was one of five brothers who served in the choir at St Oswald’s and St John’s churches. His father was the foreman Master Mason on the building of St Oswald’s church, Bollington Cross, in 1908. 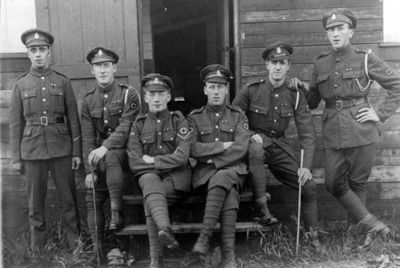 James served in the Royal Army Medical Corps and at least part of the time found James working at the No.3 British Stationary Hospital in Rotterdam, Holland. This was a Base Hospital. Read more about the casualty evacuation chain . This looks like the inside of a billet hut. James Harrison is in the front row, first on the right. The back of the card has ‘Rotterdam June 1919’ written on it. This card also has “What a life!”. 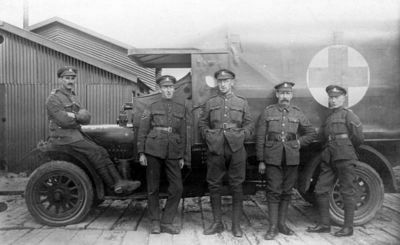 James on the right with his ambulance crew. James is on the steps on the right. 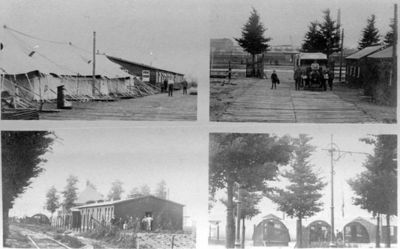 The British Stationary Hospital camp. 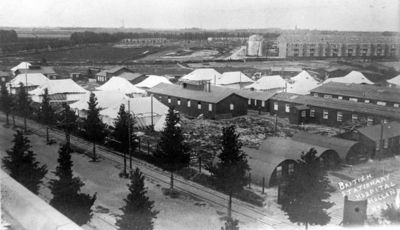 High level view of the hospital camp at Rotterdam. 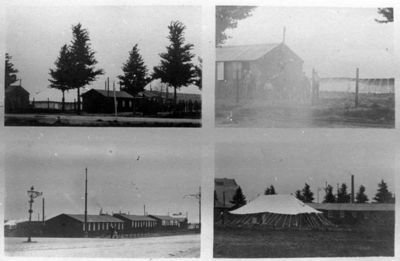 Further views of the hospital camp. 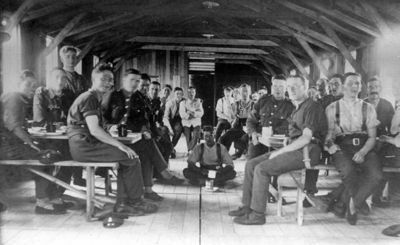 We thank Maureen Miller, niece of James Harrison, for providing the pictures and information to the Discovery Centre historic picture collection. The life history information comes from James’s funeral notice in the Macclesfield Express.